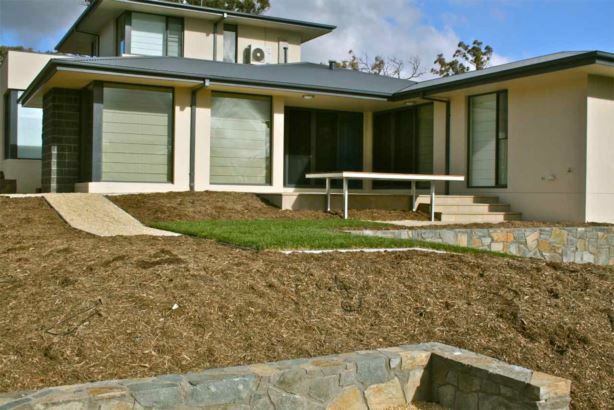 This new home on a recently developed block is situated opposite a nature reserve. The front yard features different textural elements such as stone walls, steel edging, river stones & architectural plantings. 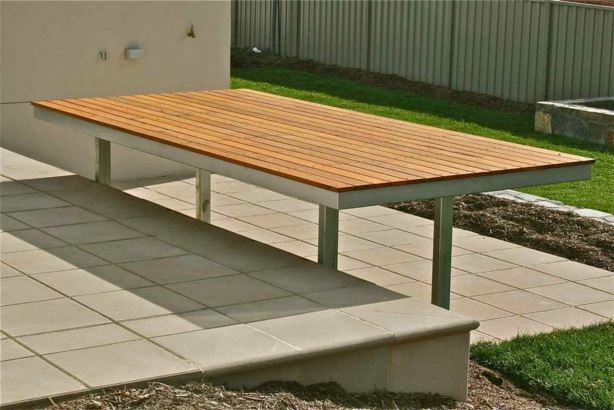 Gravel paths flow down to the rear yard through paved & grassed terraces. 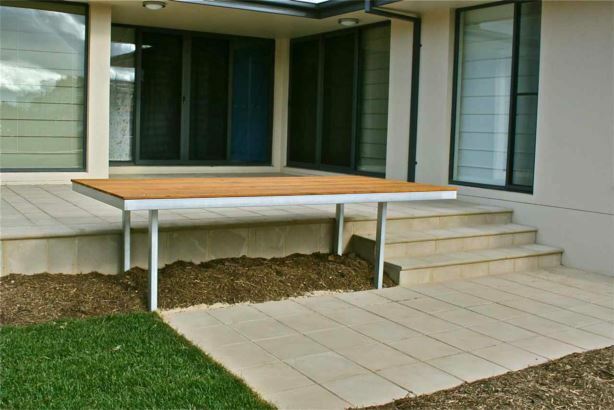 A steel & timber deck forms an informal seat to the entertaining area & a bench for the lower BBQ zone. 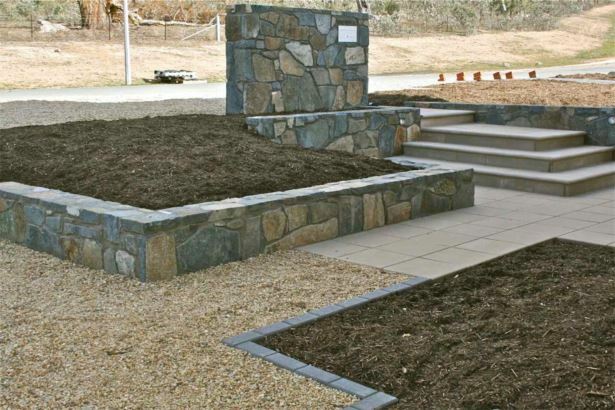 ‘Custom Made Landscapes’ constructed the garden which also featured Murrumbateman bluerock walls by Phil Seselja, and the owners custom designed gate by Canberra Gates & Doors.